Did you participate in No Shave November?? Are you eagerly waiting for the end of the month to reach?? Have you become attached to facial hair?? 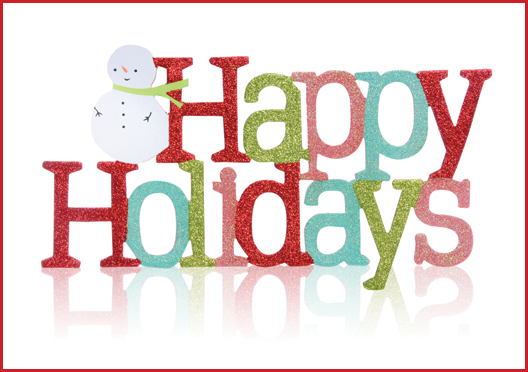 We are in the midst of the holiday season. The Thanksgiving Turkey has been carved, Black Friday has occured and soon Christmas, Hanukah and Kwanza will be here. While many of us will be together to share memories there are those families that will celebrate bittersweet holiday season for one reason or another. Families that are dealing with Alzheimer's also deal with stressful and frustrating moments. Spend time enjoying yourself and the individuals with alzheimers visiting those that you love. A positive attitude will go a long way. advise places you will be staying that an individual with allzheimers will be with you. The Allzheimer's Association is there for you 24 hours a day 7 days a week. Simply call 1-800-272-3900 to answer questions about warning signs and to assist persons with dementia and caregivers. The Helpline will be open all Christmas day and News Year day, as well as year round. Be careful out there. How many times do we hear or say this before someone heads off on a journey?? The time of the year between Thanksgiving and New Year's Day is one of the most dangerous times to be on the nations roads. The reason is drunk driving. With all the celebration going on sometimes drivers forget that celebrating too much does not mix with driving. Often those that are injured are those that are the ones not celebrating. Have designated drivers ready and planned before the celebration. For those that want to be involved in the celebration but choose to be safe and not drink plan some "mock-tails"
Remind other drivers by displaying a MADD red ribbon or sticker on your car where others can see. Roadway sensors to alert Safety Operations Center if drivers enter the roadway the wrong way. MADD Tie One On For Safety began in 1986. It is the longest running and most visible public awareness project sponsored by Mothers Against Drunk Drivers. 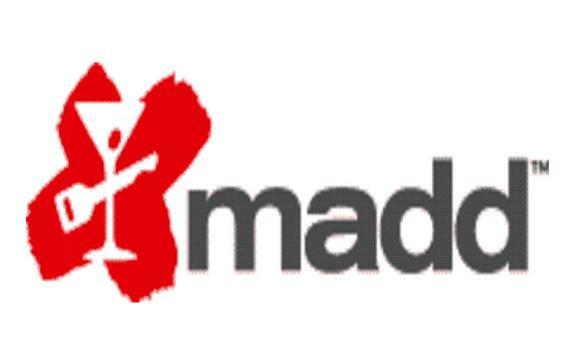 With more than 10,000 individuals killed in drunk driving crashes an hundreds of thousands more injured MADD is taking a stand. You can help the cause by putting a red ribbon in a visible location on your car as a reminder to always designate a non-drinking driver. Drunk Driving can be prevented. Planning should begin before the party. The goal is that everyone gets home safely. I myself have been harmed by drunk driving. No I was not directly involved in the wreck but in the aftermath when the family falls apart. In 2 different wrecks with about 20 years between them our family experienced 2 wrecks. The first my young uncle, only at the age of 16 who was young but not stupid. He lost his life on a ride with family one day when he met up against a drunk driver. The second, my cousin returning from the Iraqui war just weeks ago took a drive and was killed when a drunk driver hit him. There is nothing more than the heartache of a mother who thought their young sons lives were ready to be lived and in full. In the case of my cousin he had a young family as well and while he was returning from work the day of the fateful wreck he never reached home and his children would grow up without a dad. Pierce your potatoes a few times with a fork and place on a foil-lined baking sheet. Rub potatoes with olive oil and sprinkle with sea salt. When your potatoes are done baking, allow to cool slightly and slice vertically. Scoop out the inside of the sweet potatoes and transfer to a medium bowl. To the sweet potatoes, stir in pineapple, brown sugar, cinnamon and salt and pepper to taste. Spoon the sweet potato mix back into the skins and top with cheese and Canadian bacon. Bake until cheese is melted - an additional 5-10 minutes. Finish with a sprinkle of parsley and serve warm with a squeeze of BBQ sauce, if desired! Heat a large non-stick skillet or saucepan. Add the onion and cook, stirring often until it softens, about 4 minutes. (Add a splash of water as necessary to prevent sticking.) Add the mushrooms and jalapeno and continue to cook until mushrooms soften. Add black beans, corn, tomatoes, and seasonings. Cook for a few more minutes to allow most of the tomato liquid to cook off. While the chili is cooking, prepare the peppers by cutting them in half through the stem end, removing the seeds and membranes, and rinsing the insides to make sure all the seeds are out. Check to see if they will stand upright, and if not, peel a strip off of the back side. Oil a baking dish big enough for the peppers (or line it with parchment paper). 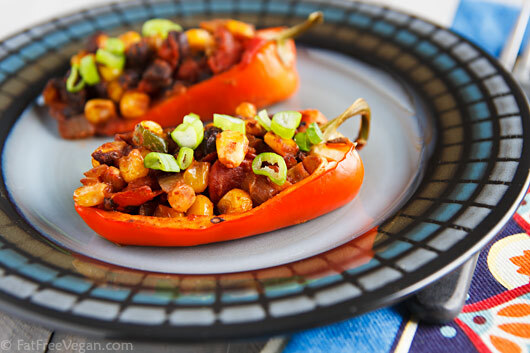 Fill each pepper half with the chili and place it in the baking dish. Bake until peppers are tender, about 40 minutes. Sprinkle each pepper with sliced green onions and serve hot. Summer and Winter squash are from the same family of vegetables, the difference is that summer squash tastes best when harvested young and winter squash tastes best when it is harvested at full maturity. When selecting winter squash it should be heavy and not have any soft spots. 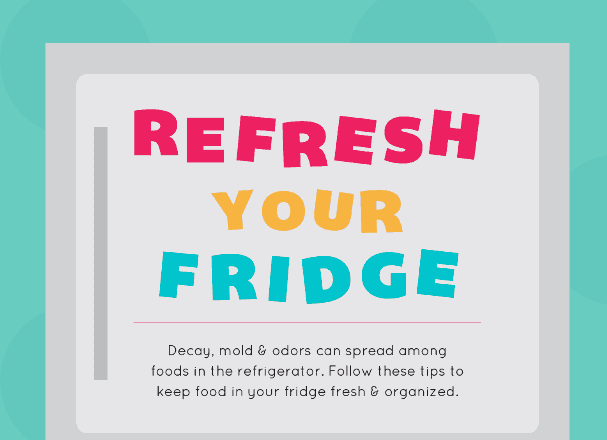 Store the squash n cool dry place but do not refrigerate. ButternutSquashPuree2* To Make Butternut Squash Puree: Cut butternut squash in half lengthwise and remove seeds. Place squash, cut side down, in a shallow pan on aluminum foil or Silpat-lined baking sheet. Bake at 350 degrees F. until squash is soft, approximately 45 to 60 minutes (depending on the size of your squash). Remove from oven and let cool. When cool, scoop out the cooked flesh/pulp (discarding the shell), place the pulp in a food processor and process until smooth. Measure out the amount you need for this recipe, and reserve any remaining pulp (either in the refrigerator or freeze) for other uses. NOTE: This Butternut Squash Puree may be substituted in any recipe that calls for pumpkin puree. Preheat oven to 350 degrees F. Place oven rack in center of oven. Generously grease a 9x5-inch loaf pans. In a medium bowl, sift together the flour, baking soda, salt, cinnamon, cloves, nutmeg, allspice, and ginger; set aside. In a large bowl, combine butternut squash puree, sugar, vegetable oil, eggs, and water until well blended. Add the flour mixture and stir until just blended. Lightly stir in the chopped nuts. Pour batter into prepared loaf pan and bake 50 to 60 minutes or until a toothpick inserted in the center comes out clean. NOTE: Be sure and poke the toothpick already to the center of the loaf. Remove from oven and cool on a wire rack 10 minutes; remove from pan. Cool completely before slicing. In the old days loved ones would be taken care of at home until the services they demanded could not be completed at home. Now days several of the services that were not available at home have now adapted. This means that rather than having to spend more time in the hospital or a nursing home one may be able to be taken care of at home. Thus making an illness or injury not having to be the reason to leave the home for care. 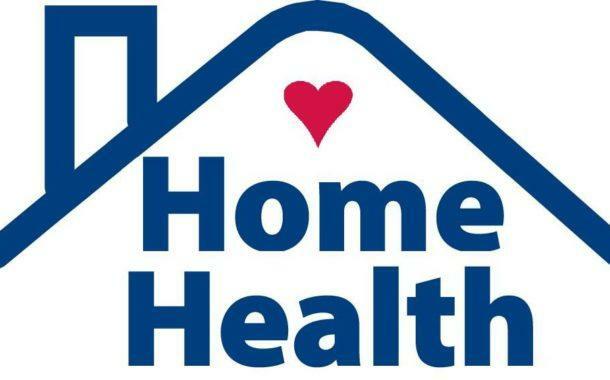 Home health care may be for individuals who are getting older, chronically ill, individuals recovering from surgery or disabled individuals. Home health services can be brought to more patients rather than mandating the individual to go to the service. In the past cardiac care, respiratory care, I.V care, nutrition care, injections, and wound care would all have to be completed at special facilities. In the world today these services can all be offered at home. Prepare the fruit by chopping the oranges and bananas. Arrange on a serving platter with the dried apricots and dried dates. Melt the chocolate and then stir in the dairy-free milk. Keep stirring until it becomes smooth and glossy. Pour into a pot and serve with the fruit. Preheat oven to 350 and grease a 6-donut pan very well with cooking spray. First, make the crumb topping. In a small bowl, combine the cubed butter, flour, brown sugar and cinnamon. Mash the butter into the dry ingredients with a fork. Make sure the butter is well incorporated with no patches of flour. Pour the mixture out on a small baking sheet lined with foil. Set aside. Next, make the donuts: In a small bowl, whisk together the flour, sugar, baking powder, salt and nutmeg. Set aside. In a small saucepan, stir together the milk, egg white, butter and vanilla. Stir the mixture continuously over medium-low heat until the butter dissolves completely. Stir the wet ingredients into the dry (but don't over-mix). Divide the batter between the 6 spaces in the donut pan and bake for 8-9 minutes. Add the pan of crumbs to the oven at the same time. 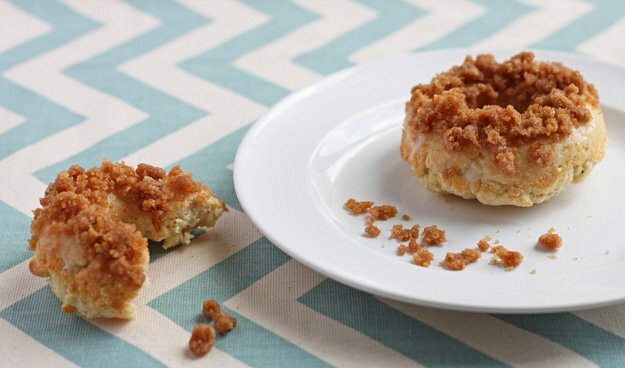 Keep an eye on the crumbs--the mixture will spread out like one giant cookie. Make sure it doesn't get too dark brown. When the donuts are done, the surface of the donuts will spring back when pressed gently. Let the donuts cool in the pan 5 minutes before removing them. Meanwhile, scrape the crumb mixture with a fork to create crumbs. Pour the crumbs into a shallow bowl or plate. Whisk together the glaze ingredients in a shallow bowl. To serve the donuts, dip each top into the glaze, then the crumb mixture. Have you ever been in a rush and the words not come out right?? 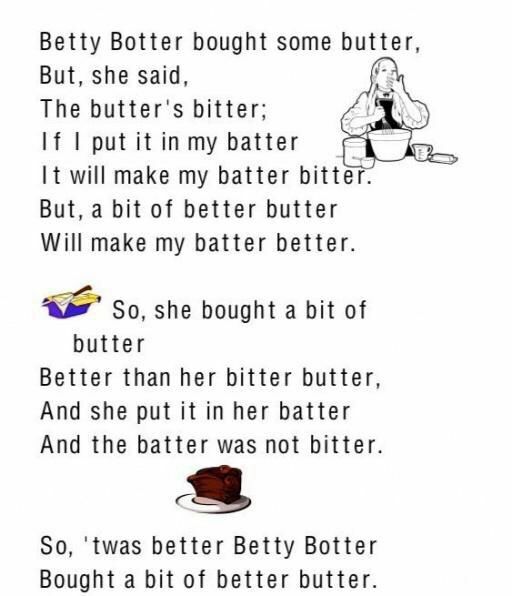 That is the reason that some sentences known as tongue twisters are so hard to say. Certain words or phrases quickly will make our brains loose control. Even speech experts find tongue twisters a bit perplexing. 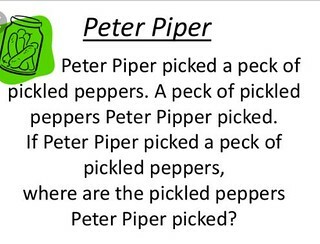 Tongue Twisters are a great and fun way to practice and improve pronunciation and fluency. Accents can also be improved by the use of tongue twisters. The repetition of one sound is what makes these fun sayings so useful. Kids have loved them forever but did you know that actors, politicians and public speakers all use tongue twisters to practice coming over clear when speaking. Mix all of the dry ingredients into a bowl. Add the oil. Stir in the boiling water and allow to cool briefly. Knead it into a workable dough on a floured surface using your hands. After a few minutes it should be soft and smooth and none should come off on your fingers. If it’s still a little sticky then add more flour, one tablespoon at a time until it’s just right! 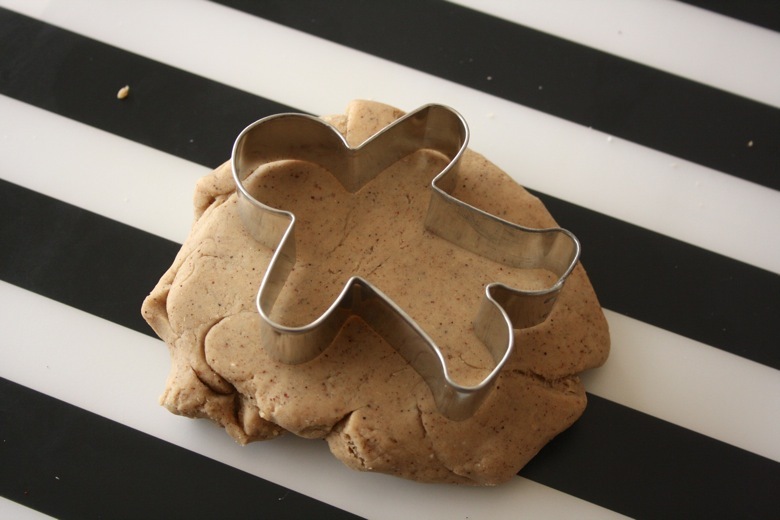 Use gingerbread men cookie cutters and rolling pins pretend that real gingerbread man and "bake" then in a pretend oven. Using buttons and beads decorate the gingerbread men. While we celebrate Thanksgiving today 55 years ago in Dallas Texas the WFAA news director was relaying a horrific story. John F. Kennedy had been assassinated. That director was none other than Bob Walker who covered and worked the story of Kennedy's assassination and then went on to New York and Washington to finish his remaining time as a newsman. Bob Walker was originally from Minnesota but it was in Harrisburg Illinois, a little town where I am from, that Walker got his broadcasting career started. Bob took a job at WSIL - TV after attending school at SIU Carbondale. While such a grim day, we had seen yet another home town boy while adopted from another state that was doing good. Imagine for a second that you are one of the 102 Puritans that came to America that fateful day. Taking time right off the coast of England to board the Plymouth readying for a trip to Holland. On another ship the Pilgrims were saying goodbye to their loved ones as well. The seas seemed a bit choppy but this was expected on the brisk autumn season. Before the groups laid a new freedom in a new land. The Abnaki's would teach the pilgrims to plant crops, build homes, hunt, fish in the rivers and live life. A friendship of sorts was created and to celebrate this relationship they would come together for a feast. The two groups would celebrate for three days enjoying a cuisine of both land and sea. Blessings were offered to God for the harvest, friendship and feast. Moreover the first feast not yet Thanksgiving was celebrated. It was America's first president George Washington that proclaimed the first Thanksgiving as a nation wide "Day of Thanks" in 1789. Since that time the fourth Thursday of November was set aside to celebrate the blessings for family, friendship and all that God gives us. Plastic containers can help group small items like deli meats and cheese, Baskets work well with small package foods as well. 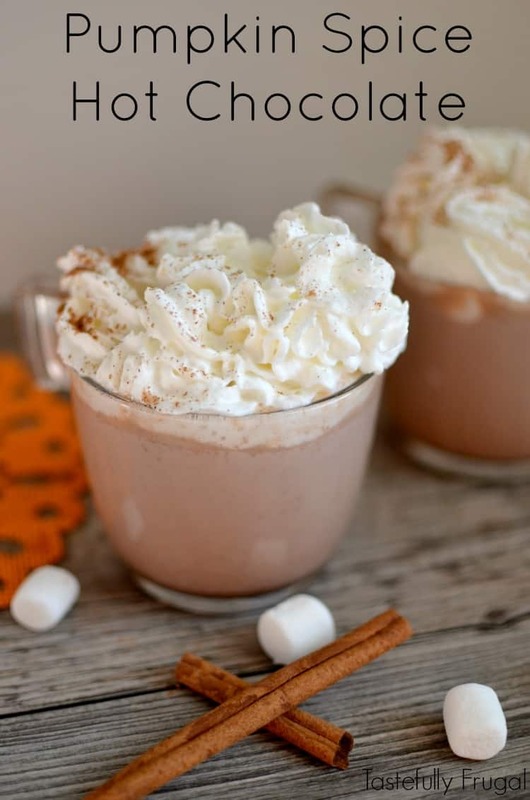 Top with optional homemade whipped cream and a dash of pumpkin spice or cinnamon,we prefer fresh. Serve immediately. Think back to the 1970's when the Harvey Wallbangers cocktail was a popular drink on the scene. It also spawned this cake recipe which contains all the cocktail ingredients. The best part is it can be made with a mix. If you like a little sip of something a bit strong you may need this sometime during the holiday other wise it is easy to substitute the alcohol for water. So get ready to listen to some smoothing music, light up some candles, prepare some fondue and enjoy this cake. It may just seem like you are escaping back to the 1970s. Grease and flour a Bundt pan or spray with floured vegetable spray. Place the cake mix, vegetable oil, eggs, Galliano liqueur, vodka, pudding mix and orange juice into a large mixing bowl. Beat on medium speed for 2 minutes. Pour the cake mixture evenly into the prepared Bundt pan and tap gently on the counter to release any air bubbles. Let the cake rest for 5 minutes. Gently loosen the edges around the rims with a thin rubber spatula. Invert and unmold the cake from the Bundt pan onto a cake platter. Drizzle the glaze over the cake while it's still warm; let cool to room temperature for the glaze to set. Fill mini-muffins and/or muffin paper-lined tins three-fourths full. Bake mini-muffins for 10 minutes regular muffins for 20 minutes. Check for doneness with a toothpick inserted in the center. If it comes out clean, they are done. Drizzle with glaze or sprinkle with powdered confectioners' sugar. As you are busy in your kitchen preparing goodies for tomorrow's big dinner perhaps it is time for a snack. If you are like my children then you will love the snack idea I have to share. My kids love avocados and guacamole and a bit of spice is always welcome. My myself I am not too fond of either of the two. Bu I love seeing my bunch happy so this went over well. Early toys have been an interest to me. Dolls, trains, wagons and the rest all seem to tell a story. Toy wagons first appeared on the scene around the late 1800's. One well known toy wagon maker was Antonio Pasin who made the early wagons of wood and then painted them red. Later around 1917 Pasin would start the Radio Flyer company where these toy wagons and many other toys would be created. While the little red wagon is considered part of American History it did not start in America. Antonio Pasin at the age of 16 traveled from Venice Italy to the United States. Pasin was known as a wood craftsman who dreamed of owning his own business. While Pasin was not from America his invention became very American. It would take a bit of time and even more work before Pasini would save enough money to purchase enough wood to make the first wooden wagons. Pasini continued to work during day at various jobs and at night he would work on the wagons. His dream would start to be visualized in 1923 when he hired a few employees and started the Liberty Coaster Wagon Company. Did you know that his first company was named after the Lady Liberty?? Using the assembly line methods pioneered by Henry Ford, Pasin’s company grew exponentially and in 1930 he renamed his business the Radio Steel & Manufacturing Company. The shift from wood to steel allowed him to retain his old-world standards of quality (his steel-bodied wagons were virtually indestructible), while increasing production and lowering the price. Pasin’s vision allowed him to make an affordable wagon, as his slogan read, “For every boy. For every girl.” He was given the nickname “Little Ford” by the steel companies who sold him the raw materials necessary to transform 25 pounds of metal into a toy that transported many of us through childhood. Just 16 years after setting foot in America, Pasin’s vision and hard work had transformed him from a penniless, immigrant teen to the world’s largest producer of coaster wagons. Pasin's workshop was located in Chicago Illinois . The 1933 World's Fair took place in Chicago and helped make the little red wagons popular. The wagons seemed to provide a bit of fun and rid the minds of many if just for a moment of the troubles that we going on. Perhaps it was the fun that made the wagon so popular but it must of been so much more as the design of the wagon has stayed the same throughout time. The small red wagon normally has either 9, 12 or 16 bolts. Four of these bolts are found in the back axle, the front varies among the different steering designs. Wagon wheels vary as well from air, hard rubber or hard plastic tires. The body of the wagon can be made of plastic, wood, aluminum, poly or steel. One of the most important parts the handle comes in a variety of shapes from a T, D, or a circle handhold at end. 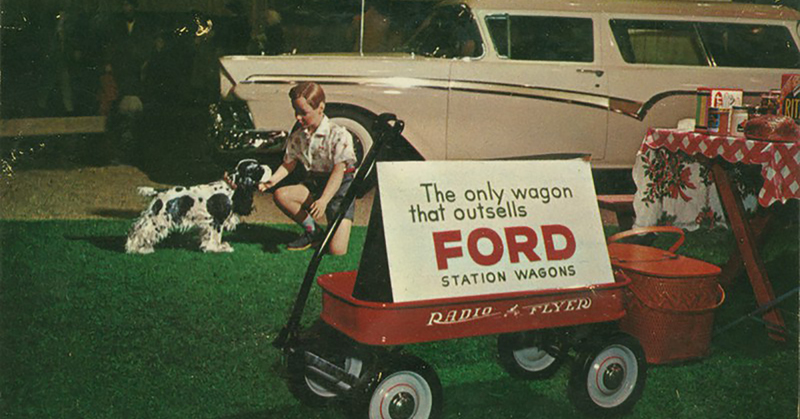 However, radio flyer was not the only toy wagon company. In 1923 the Liberty Coaster Company started producing wooden bodied wagons. This encouraged Pasin to do more so he then replaced the Radio flyer wagon wooden body with stamped steel. The nickname "Little Ford" was offered to Pasini Since that time a number of styles have been created via Radio flyer that were inspired by popular automobiles of the time Thus helping the little red, blue or yellow wagon to remain a popular toy. In 1999 at The Strong in Rochester New York the Radio Flyer Wagon was inducted into the National Toy Hall of Fame. In 2003 Antonio Pasin was inducted into the Toy Industry Hall of Fame. This is not the only reason to trust radio flyer toys as they are favored by many. The toys are safe and ever evolving in order to meet safety standards. For over 100 years Radio Flyer has been held to the highest standards. Oh my!!! My world was rocked several days ago when the news announced that an important star of my childhood had passed away. My goodness, I do not think we realize sometimes as we age so does our favorite celebrities. On the 15th of November American singer and musician Roy Linwood Clark left this earth to go to wait for the rest of us. I can only imagine Roy somewhere playing that much beloved country music. I can recall Roy Clark and his jolly face on the T.V. set at home. It seemed every time it was on mom and dad were sure to watch Hee Haw. Clark was there playing music as well as introducing both new and old stars to the show where they would entertain the watchers of the show. 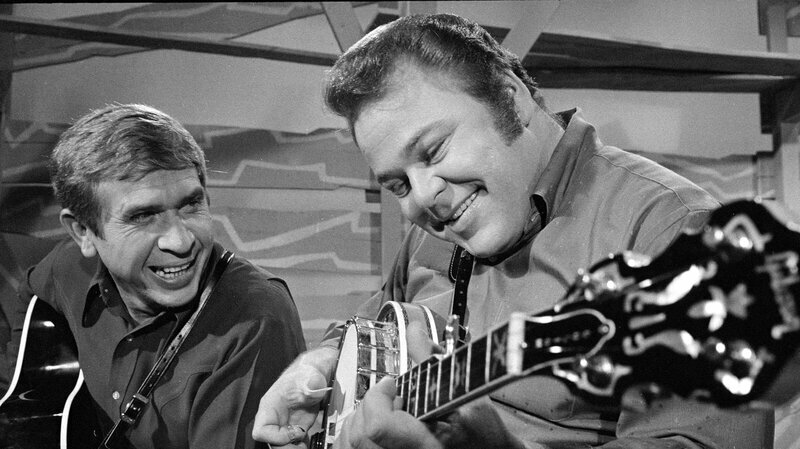 While Roy Clark played the guitar, banjo and fiddle as well as sang he had much more to do in the entertainment world. Born in Meherrin Virginia April 15, 1933 to Hester and Lillian Clark. Roy was one of five children born to a tobacco farmer. Clark spent his childhood in Meherrin and New York City as his father moved around during the Great Depression looking for work. Through the moves his father would move to Washington D.C. and find work in the Navy Yards. Through all the moves his mother and father had many skills to offer him. His father talented in playing the banjo, fiddle and guitar and his mother played piano. Clark's first instrument was a four string cigar box with a ukelele neck attached. He started playing in elementary school. Shortly after his father taught him how to play guitar at the age of 14. Following the guitar he would learn the banjo and mandolin. At the age of 15 Roy Clark would win the National Banjo Championship in 1947 and 1948. As much of a star Roy Clark was a bit of his personality was shy and timid. He was socially isolated by his classmates so Clark learned to clown around to fit in. Much of his early singing career showed this comedy side of Clark. Clark would sing duet with Carl Lukat a lead guitarist that Clark supported on rhythm. It was not long before Clark would be shown on T.V on a Washington D.C. station. The following year at the age of 17 Roy Clark made his first appearance on the Grand Ole Opry to celebrate his second national banjo title. In addition to guitar he would play fiddle and 12 string guitar as music would be his life for the next year and half playing as he toured with David "Stringbean" Akeman. He was paid $150 a week touring and playing fairs and the such with stars such as Red Foley, Annie Lou and Danny and the rest. Believe it or not while his music was flying high Clark would start flying as well. Roy Clark was 23 when he bought his first plane and started flying. Clarks personal life was filled with his wife Barbara Joyce Rupard and his five children. Roy lived in Tulsa Oklahoma where in 1978 the elementery school was named after him. As I stated Roy Clark died November 15, 2018 at the age of 85 due to complications of pneumonia. 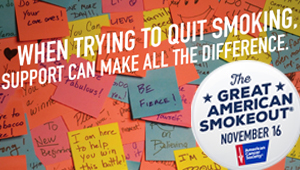 Did you take the Great American Smokeout Challenge?? If not it is never too late to quit smoking. If you did take that challenge keep going there is always support to be found and my prayers are with you. 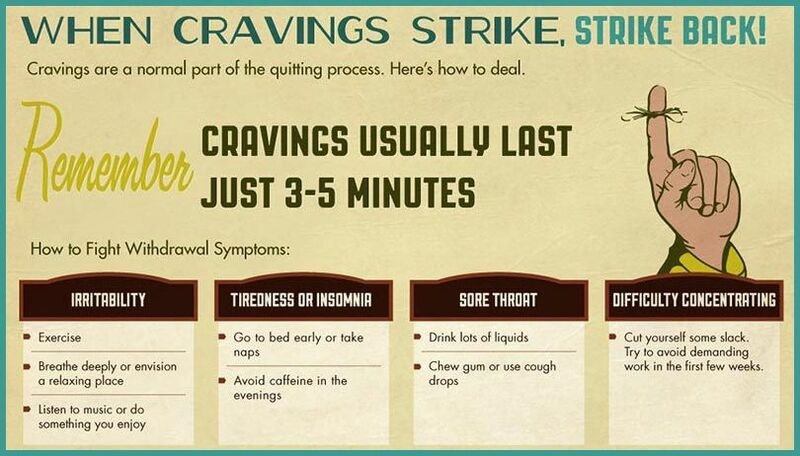 Physical cravings occur as your body reacts nicotine withdrawal Symptoms normally include tightness in throat or belly as well as a feeling of tension or anxiety. Psychological cravings are triggered by the everyday events in your life. Whenever you would normally smoke is when these cravings often occur. These cues are subconscious and often trigger urges that can seem very physical. In the measuring cup where the tea is seeping, dissolve the honey. Let cool. Place all the vegetables, dill, and apple in a large bowl. Toss together. Then, place in a sealable glass container. In the measuring cup, combined tea, vinegars, and spices. Pour liquids in the glass container over the vegetable and apple. Close and shake to mix everything together. 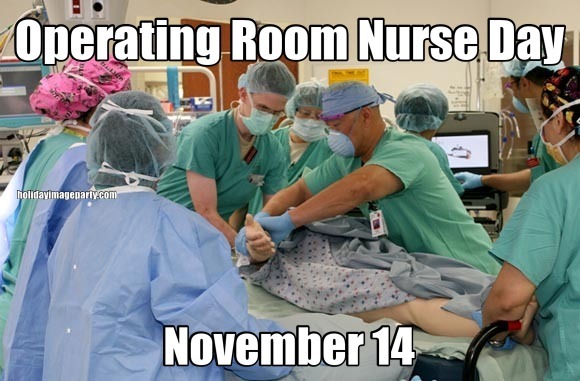 Governor Terry Branstad first announced November 1989 that a special day, the 14th to be Operating Room Nurse Day. So I say hats off to all those ladies in the operating room. Many that remain behind scene but all that offer support and care to patients before, during and after surgery. These nurses are important to maintain a sterile atmosphere in the operating room. Operating Room Nurses are responsible for managing the patient during surgery and organizing care throughout the process. If you know an operating Room nurse then please thank them for us. Many children have them, I know young women that have them and I have taken care of senior citizens that held them close as well. What am I talking about?? The cherished teddy bear. A USA toy maker Morris Michtom invented the beloved teddy bear to honor former US president Theodore "Teddy" Roosevelt who was the character in a bear hunting story. Because of the sympathy the president showed the bear cartoons that were politically influenced were showcased. Morris Michtom who owned a toyshop in Brooklyn caught a glimpse of these cartoons. Michtom made stuffed animals and decided to create a bear in honor of the president. After gaining permission from the president he mass produced "teddy bears" and eventually formed the company known as Ideal Novelty and Toy Co.
Hermit cookies are soft, spicy cookies that will help fill up the cookie jar. 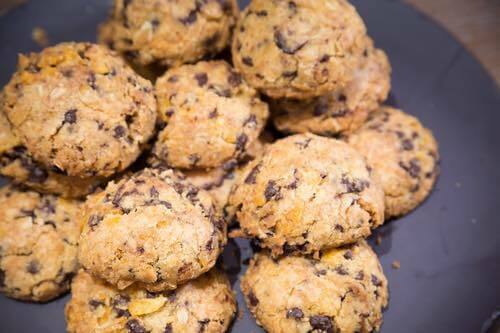 These cookies are packed with raisins and walnuts. As a little switch consider making these little cookies with cranberries and pecans. Whisk flour, baking soda, all the spices and the salt. Put shortening, both sugars and eggs in a mixer and beat at high speed until well combined. Add flour on low speed, and then stir in raisins and nuts. Drop generous teaspoonfuls of dough onto a greased cookie sheet and bake until lightly golden, about 12-14 minutes. Cool on rack. After my last post.... I must tell you a little secret. I have been in love with BigMacs for as long as I can recall. The issue is that at this time right now we have no McDonald's in our town as they are building a new one and I am left without my favorite sandwich that I would treat myself to every other week. Many may think that Big Mac Sauce is the same as Thousand Island dressing. This is not true it is not Thousand Island dressing. In fact Thousand Island that contains tomatoes is not an ingredient in Big Mac Sauce. As you can see in the Big Mac sauce ingredients located on the McDonalds website there are no tomatoes in the sauce. Place all ingredients together in a bowl and whisk to combine. Can be enjoyed immediately, but the flavor is best when allowed to sit in the refrigerator overnight. Store in an air-tight container. Hey!! !,,,, did you hear what happened the other night... I don't remember who told me but I know it just has to be true. Now, its your turn to pass it on, add what you may want to and leave out what you need to. This is how rumors get passed. No, it is not just mindless gossip. Rumors can be extremely damaging to a person's mental and emotional well being. Gossip is not intended to hurt anyone or cause serious harm. Moreover rumors have a way to snowball and be made into a pack of webs that may hurt someone in the future. Rumors have been known to hurt individuals careers, lives, confidence, relationships, and reputations. It is very hard to escape from rumors that were started and have snowballed so that bits and pieces have been added. The truth it seems no longer matters as rumors are so much larger than the truth. The sad part is that rumors often started by those that for one reason or another are bored, insecure, extremely unhappy in their own lives, jealous or mean in nature. Rumors about individuals may result in name calling, whispering, judging others and at times worst. So what do you do if you hear a rumor about yourself?? Do not let the rumors define who you are . Do not hide, be scared or embarrassed. If you know the rumors are a lie hold your head high and act normally. Buttons are used as fasteners, ornamental adornments, matter of design or element used to blend into background. You can find buttons in many different places from furniture to items of clothing. But how did these prehistoric necessities that held garments together become so poplar?? When different fabrics began to be used to making clothing buttons of different materials appeared as well. Buttons made of gold, bronze and precious stones began to be used alongside the earlier flint and stone Buttons add decoration to garments and also offered a status review. Ancient Romans decorated their clothing with decorative brooches and buttons. These buttons and brooches were made up of bone and wood that also helped to hold the multiple layers of fabric together that was used in clothing. As imagined as clothing styles changed so did buttons. The Middle Ages brought a more closely fitted clothing style. Buttons on dresses, sleeves and tunics were made very apparent. Merchants sold buttons made of ivory, gold and precious metals found all over the world. It was an introduction to what was to come in the Renaissance period of time. Jewels on buttons would be worn by wealthy men and women on hats, dresses and other pieces of clothing. However, the poor used buttons made of wood, bone or glass. By the 20th century buttons had become common for every class. Metal buttons covered with fabric became the next popular buttons. Buttons had reach popularity and now could be mass produced. With mass production came more uses in upholstery, shoes and bags. Plastic buttons would take the popularity of buttons even further with new shapes, sizes and textures. In addition buttons became more available and cheaper. While many think that Indian Pudding is a heritage dish from the Native Americans they would have been fooled. With November being the national holiday of Indian Pudding that does seem like that should be right. It was the Native Americans or Indians as they were known to the early colonist that introduced the starving settlers to food in the "New World" Without the natives there would have been no first Thanksgiving, let alone a feast. Indian pudding was most likely served and enjoyed at the first Thanksgiving. The British colonist had a fondness for what was known as "hasty pudding" This dish was made by boiling wheat flour in water or milk until thick. In the New World there was little wheat flour but there was cornmeal. The settlers referred to cornmeal as "indian flour" Indian pudding was much likely made by using cornmeal and flavored with maple syrup or salted meat depending on whether dish should be sweet or savory. In time ingredients such as butter, cinnamon, ginger, eggs, raisins and nuts were included in the pudding. Today this pudding is prepared much more like a baked custard with milk, butter, molasses, eggs, spices and cornmeal. The dish is often dark and lumpy mush that does not appeal to the palate but served with ice cream it makes a great topping. Preheat oven to 250°F. Scald the milk and butter in a large double boiler. Or heat the milk and butter for 5 or 6 minutes on high heat in the microwave, until it is boiling, then transfer it to a pot on the stove. Keep hot on medium heat. In a separate bowl, mix cornmeal, flour, and salt; stir in molasses. Thin the mixture with about 1/2 cup of scalded milk, a few tablespoons at a time, then gradually add the mixture back to the large pot of scalded milk. Cook, stirring until thickened. Temper the eggs by slowly adding a half cup of the hot milk cornmeal mixture to the beaten eggs, whisking constantly. Add the egg mixture back in with the hot milk cornmeal mixture, stir to combine. Stir in the sugar and spices, until smooth. At this point, if the mixture is clumpy, you can run it through a blender to smooth it out. Stir in the raisins (optional). Allow the pudding to cool about an hour to be at its best. It should be reheated to warm temperature if it has been chilled. Serve with whipped cream or vanilla ice cream.